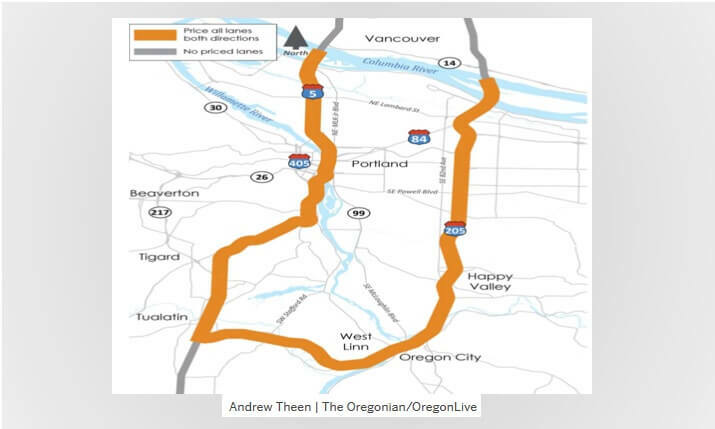 The Oregon Transportation Commission discussed (see Oregonian article, Portland Tribune article) the feasibility of tolling the highways of Interstate 5 and Interstate 205 with the projections of raising $300 million in additional tax revenue. The Taxpayer Association of Oregon Foundation predicting this debate conducted an extensive mail survey of its supporters last month. Over 400 people responded. A full 88% rejected the idea of tolling existing high-traffic freeways as a tool to reduce traffic congestion. Below is the question that was asked and the results. Oregon lawmakers authorized the use of tolls on state roads in 2017. How should they proceed? It appears that Oregonians feel that existing gas funds should be used to relief traffic congestion. Oregon is set to have the nation’s 5th highest gas tax under the new $5.3 billion transportation package approved by lawmakers in 2017. It is this excessively high gas tax that many Oregonians feel should be used to fund new roads to relieve traffic congestion.